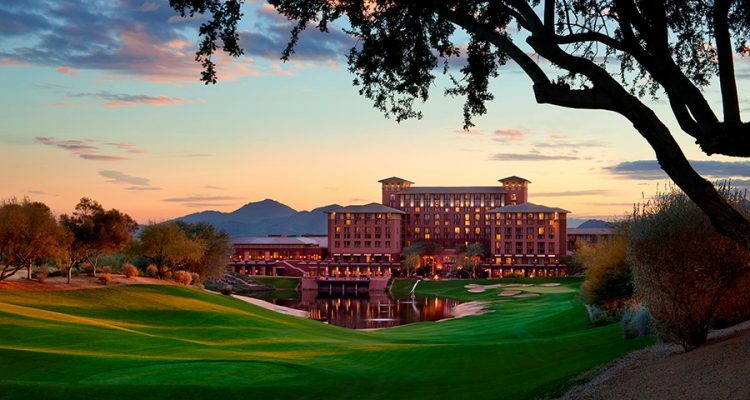 At the Westin Kierland Resort and Spa, located in beautiful Scottsdale, Arizona, you’ll find a desert oasis of tranquility and welcome that will serve as the perfect backdrop for the AG Bell 2018 Convention. Conveniently located just 40 minutes from Phoenix Sky Harbor International Airport, our hosts at the Westin Kierland Resort and Spa are ready, willing, and very much able to make your stay one that will be remembered for a very long time. Play golf at the magnificent 27–hole championship Kierland Golf Club, located on the grounds of the hotel, with world-renowned golf instructors at your disposal. Pools situated for peace and solitude when you want it…and an Adventure Water Park with a 900-foot lazy river and 110-foot water-slide for when you don’t! Eight different restaurants and bars offering a variety of cuisine choices for every taste and palate. Shopping at the adjacent Kierland Commons, offering over 70 popular retail outlets and exciting eateries with cuisines from around the world. Visit the hotel website for a full listing of features. Hotel room rate is $159 for single/double room. You may reserve one room at a time (only) when using this link.